The fight over the proposed Deschutes River pedestrian bridge south of Bend may suffer a knockout blow if a new bill passes in the upcoming short legislative session. The draft of the bill, currently titled Legislative Concept 49, differs from Rep. Gene Whisnant's failed bill from last session in that it doesn't provide another option for the bridge. 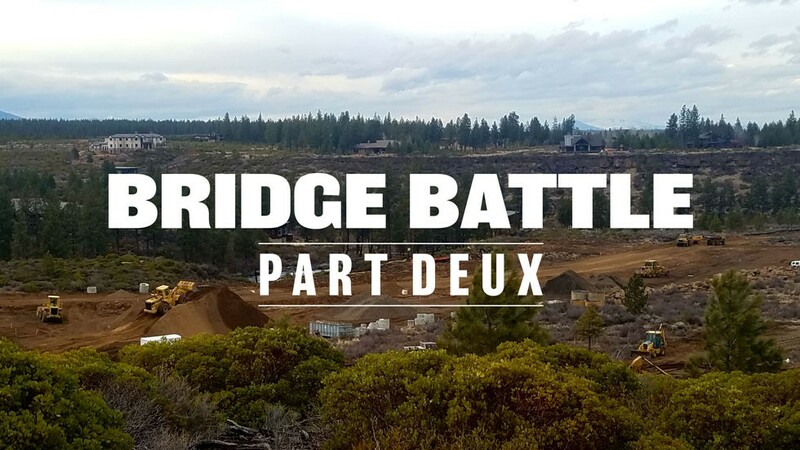 According to the bill's language, it "prohibits a person, public body or local service district from constructing a bridge on the Deschutes River within certain segments of the Deschutes River Scenic Waterway." What this means: no more bridges from the Central Oregon Irrigation District's diversion structure located on the east side of the river, opposite Sunshine Way, to the south end of Bend's urban growth boundary. House Bill 2027, which passed unanimously in the Oregon House last year, banned the building over a bridge over the Deschutes in the Scenic area outright. 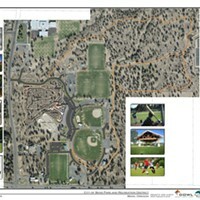 The Senate amended the bill, which would have allowed the Bend Park and Recreation District, or another federal governmental agency, to build a pedestrian bridge just outside the UGB, starting at river mile 172 and extending upstream approximately 520 feet. The bill ultimately died in the Senate. If the Senate’s version of the bill had passed, the span could have connected trail users from a small area of federal land on the east side of the river to the “Good Dog” off-leash park on the west side. The bridge would have connected the thousands of residents in southeast Bend with the miles and miles of national forest land for biking, hiking and many other forms or recreation—all without having to burn gas to get there. In 1970, Oregon voters overwhelmingly established the Oregon Scenic Waterways Program, designating 496 river miles of the Deschutes, Illinois, John Day, Owhyee, Rogue and Minam rivers. This legislation required the Oregon Parks and Recreation Department to be notified in writing of certain activities within one-quarter mile of the bank on designated scenic waterways. One of these activities is a bridge. Another is the building of houses or other structures. While the bridge idea has drawn ire from people in certain housing developments, there are already many large homes and roads within the boundaries of the scenic waterway. Don Horton, BPRD's executive director is one of the bridge's biggest proponents. He sees some of the opposition as an us-versus-them. "It's a social equity issue," Horton said. Bob Brell, who served as the former chair of the Century West Neighborhood Association, feels the legislation is necessary to protect the "Scenic" designation of the river. "How can any entity (public or private) know more or be better informed or represent the public interests better than the public entity entrusted with managing our Oregon Scenic Waterways?" Brell said in an email. Erik Fernandez, wilderness program manager for the environmental group, Oregon Wild, is also in favor of legislation, and is concerned about the possibility of lengthy legal battles if the Scenic designation isn't bolstered. "We want to have certainty that our environmental protections will be strong instead of letting it play out in the courts," Fernandez said. In 2015, when the BPRD had more than one prospective site for the span, the OPRD set a time for public comments. Most of the opponents live in the gated communities on the west side of the river. The majority of the stated opposition was due to fear of vandalism and increased foot traffic near homes. Another big reason for opposition was environmental concern. Horton said the spot of the proposed bridge is a historical crossing point for elk, who in the winter, would ford the river and live in the meadows by what is now the Elk Meadow Elementary School. However, according to Horton, the elk quit crossing years ago when the subdivisions near the school were built. Horton said, the 73 houses being built by Pahlisch Homes along the east side of the river, in a subdivision being called "River Vale," mean basically the end of elk crossing the river in the area. "The only herds you see out there anymore are John Deeres," BPRD's Park Planner Laura Underhill quips. Horton said if the bridge were to be constructed, his staff would be able to help with the environmental concerns, especially on the west side of the river. Horton also says the vegetation is completely trampled down within the dog park near the river. "We can help with riparian restoration—help manage the area that the forest service isn't able to," he said. Horton points to the work BPRD did with the whitewater park in Bend, saying they made the park while taking into account fish and the Oregon Spotted Frog, listed as threatened under the Endangered Species Act. Fernandez said although BRPD's intentions may be good, it still isn't enough for wildlife, and recreation is a secondary concern to his group. "This is a site-specific problem," he said. "The Deschutes faces a lot of pressure, from logging, housing developments, irrigation... some we can control and some we can't. Can this river handle that much more disturbance?" Bend's state representative, Knute Buehler, has weighed in, saying he's not in support of the bridge. According to Buehler's chief of staff, Jordan Conger, Buehler isn't working on the proposed bill, but supports finding an alternative solution, such as a trail on the east side of the river that balances the need to protect the scenic waterway and wildlife crossing, with the recreation interests of local residents. Brell also applauds the idea of another solution, saying the current Bill Healy Bridge could connect people to Century Drive, to the Haul Trial Road and to the U.S. Forest Service lands. Horton says two scenarios that could pave the way for a span. One, the USFS has to apply for the bridge, or OPRD has to allow for a non-land owner to apply. In May 2017, ORPD Director, Lisa Sumption, said she would not pursue a rule amendment on the Upper Deschutes Scenic Waterway. Horton said that even if BPRD was able to convince the state to allow the possibility of a bridge, it's still a very long process, with other hurdles to jump over—including the National Environmental Policy Act process, which Horton said takes a few years to get through, in addition to the year at the state level, allowing input from many stakeholders. "I don't know if we'll ever get to do the bridge or not," Horton said. "To walk to the forest land without having to drive to it would be a huge benefit to the people living in southeast Bend." According to Horton, there are currently nine bridges over the Deschutes River in areas with a scenic waterway designation. The Oregon Department of Fish and Wildlife says there are 200 boat docks. 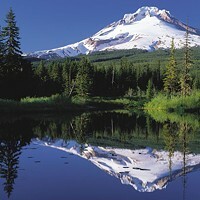 If the new bill passes, it would take away the option of building any future bridges on the Deschutes Scenic Waterway. If, for instance, the UGB moved south and traffic congestion necessitated a new span for cars—too bad. Horton laments, "This [the proposed bill] stops everything." Editor’s note: The third paragraph of this article, starting with “House Bill 2027,” differs from the print version. It was changed it to reflect more detailed information about HB 2027. Can ridesharing apps help prevent drunk driving?